Ottawa parents whose kids were left out in the extreme cold waiting for late buses Monday morning took to social media to vent their anger at the local school transportation authority. Monday morning's wind chill made it feel around –40 in eastern Ontario, and there are extreme cold warnings across the entire region. While many districts surrounding Ottawa deemed that too cold to run school buses, the Ottawa Student Transportation Authority (OSTA) did not. However, the routes serving English schools experienced major delays. According to OSTA, nearly 100 buses were delayed anywhere between 10 minutes and, on one route, 60 minutes. The delays angered some parents, who said it was dangerous to keep children waiting at the bus stop in such conditions. I agree!<br>Buses are cancelled everywhere else but Ottawa. It’s terrible to have these kids wait outside in this horribly cold temperature especially if buses are late or break down in this. OSTA blamed some of the delays not on the buses, which had been plugged in over the weekend in anticipation of the frigid temperatures, but on the drivers, some of whom had difficulty getting to their vehicles Monday. "I think there's a certain degree of understanding that circumstances aren't normal today. Thinking that the entire system is going to run exactly as planned under these kinds of conditions would be unusual," said Vicky Kyriaco, general manager and CAO of OSTA, which provides transportation for 67,000 students. Kyriaco said OSTA has no specific temperature that triggers cancellations. Rather, the authority considers road conditions, visibility and precipitation. Despite the frigid temperature, the roads in Ottawa seemed reasonably clear Monday morning, Kyriaco said. Kyriaco said OSTA fielded calls from parents Monday, and is keeping track of which routes had issues with late buses. OSTA said it announced all delays as early as possible to give parents time to make other arrangements to get their kids to school. "We are trying to balance the needs of a variety of households in the city, and always err on the side of caution when it refers to safety," she said. She pointed out that OC Transpo buses were running despite the extreme cold. "If all those folks can take the bus and wait for the bus, then I think it's not unreasonable to be running yellow buses," Kyriaco said. for eastern Ontario's French schools — except those in Ottawa. 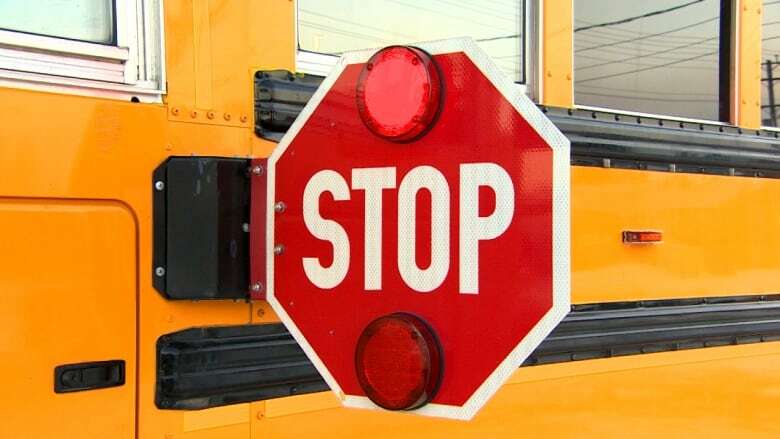 There are a few mechanical issues with buses serving the Western Québec School Board. Due to the extreme weather, several of our buses will not start. Parents are asked to drive their children: bus 28 for St. Mike’s, Wakefield and Hadley Philemon, bus 34 and 35 for Chelsea, bus 90 for PETES, bus 20 for Lord Aylmer, and buses 22 and 201 for Eardley.